Baking muffins is one of this author's favorite things to make for dessert. Without fail, they can be whipped up in minutes and can save you the time of trying to make elaborate desserts that might or might not work out when you're under pressure. Muffins also make great snack foods. They're easy to grab on your way out the door or to add to a lunch sack for just that little extra treat. 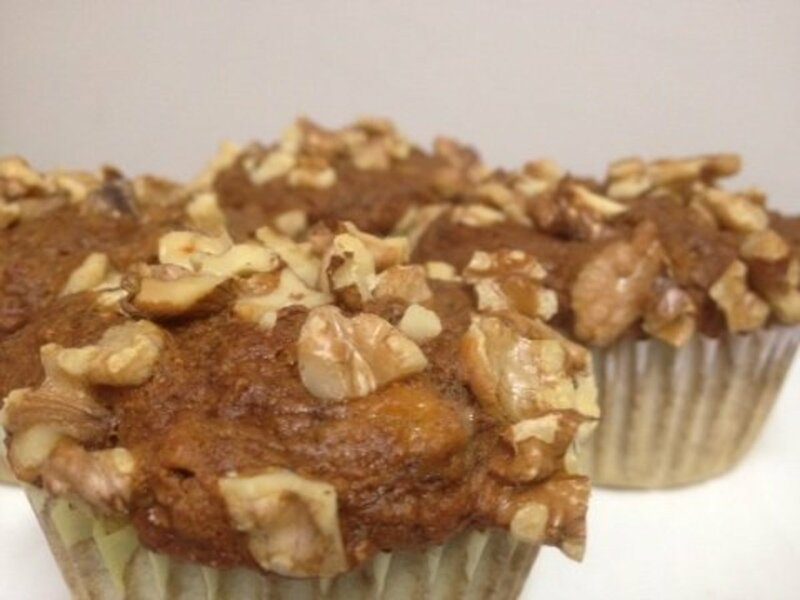 They can be healthy as well--like oatmeal muffins or fruit and nut muffins. They come in all sizes, shapes and flavors. You can go savory or you can go ultra sweet. It's all about the recipe. You can literally make extra large or jumbo size muffins from any recipe out there. If you don't have a jumbo muffin pan, you can use ramekins or custard cups. They just need to be able to hold roughly 1 cup of batter. Whatever size you decide to make, there are some simple but important golden rules to follow. That said, you can take any standard recipe for muffins or cakes and convert it to any size pan you want. All you have to know is how to bake them. Want to tweak a regular muffin or cupcake recipe to make a jumbo muffin? It's a piece of cake...literally. Mini muffins require about 2 tablespoons of batter per muffin cup. 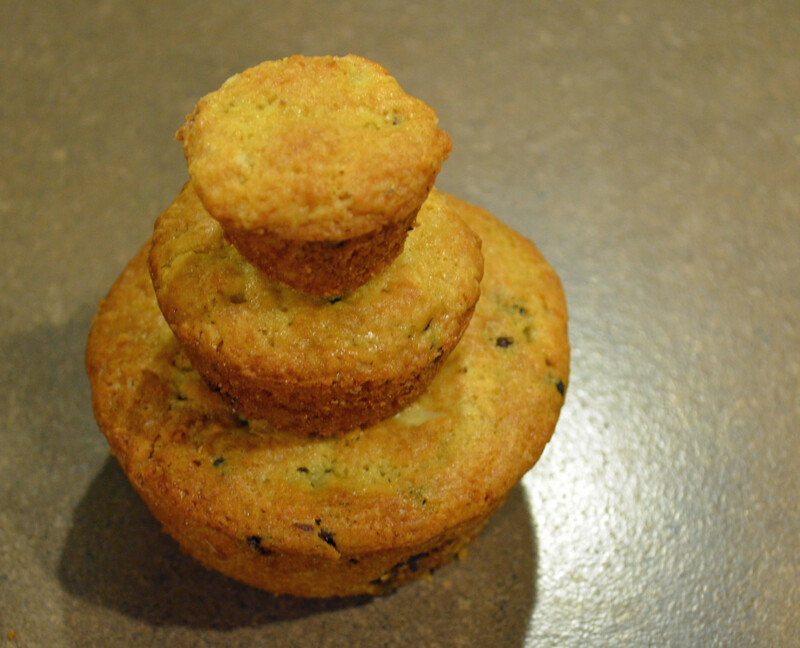 Standard muffins require about 1/3 to 1/2 cup of batter, but it's always dependent on the size of the muffin cup. Jumbo muffins require about 1 cup of batter. Filling your muffin cups 2/3 full will give you nice domed tops. Filling your muffin cups 3/4 full will give you perfect muffins. Filling your muffin cups more than 3/4 full will give you flat-topped muffins. Most standard muffins will bake for 18-22 minutes. Mini muffins or small cupcakes will bake for 8-10 minutes or about 5-8 minutes less than regular size muffins. Large sized (or jumbo) muffins will take 20-24 minutes or add 8-13 minutes to the time required for regular size muffins quoted in a recipe. You can take cake mixes and bake them as muffins, keeping in mind the reduction in time for the size of the pan. As a point of reference, baking two 8- or 9-inch cake pans of batter requires 30-35 minutes. 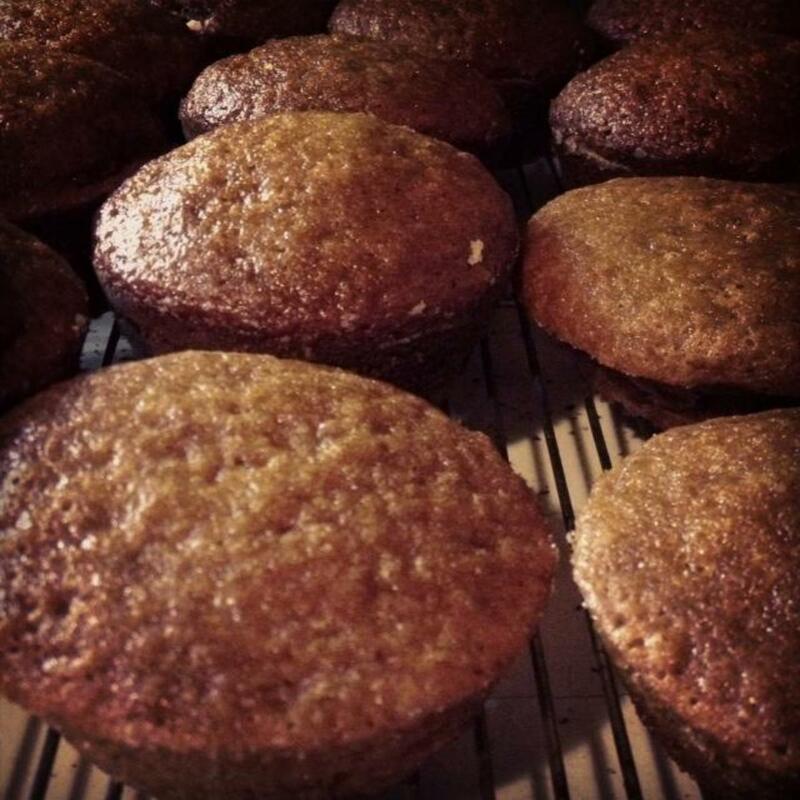 If converting a recipe from a cake recipe to muffins, reduce the time by at least 10 minutes for standard size muffins or reduce the time by 5 minutes and start checking for dryness in the center. Bundt cake recipes require 55 to 60 minutes to bake--if you want to use a bundt cake recipe to make muffins, reduce the bake time by about 35 minutes for standard size muffin pans. Reduce the bake time if using bundt cake recipes by 25 minutes and begin checking for dryness in the center if you are baking jumbo-sized muffins. How Do You Know When a Muffin's Done? Use your nose--muffins are easily tested for being done by the aroma coming from the oven. When you start to smell them, they are almost perfectly done. Don't overbake! Just like overstirring can make muffins tough, overbaking makes muffins dry as chalk. 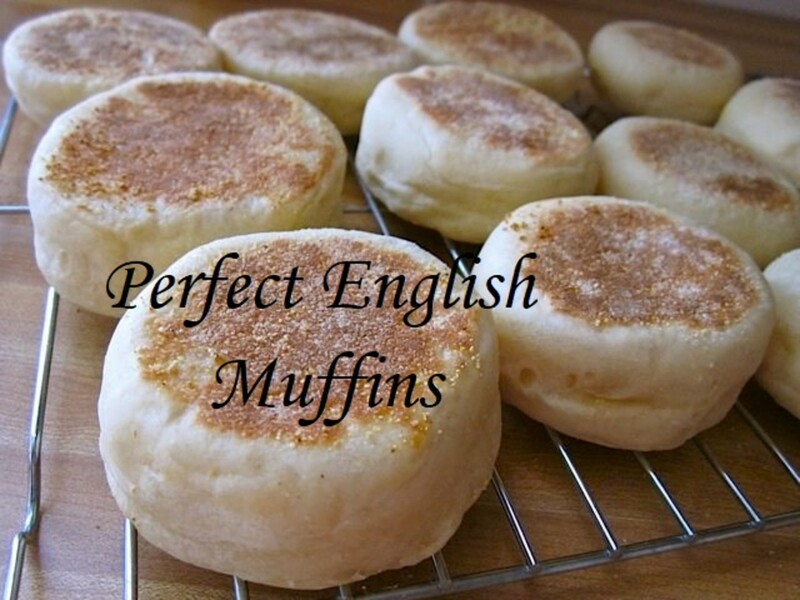 You want a muffin that is cooked "just right"--moist and fluffy in the middle and lightly browned on the outside. Insert a toothpick--or use a cake tester metal probe--stick the tester or toothpick in the center of the muffin. It should come out clean or with a few crumbs--and it's done. Remember to set your muffin tins on a rack and cool for only about 5 minutes. Remove from the pans--they will keep cooking otherwise. Push on the muffin itself in the pan--if it indents or you come away with batter, it obviously isn't done. If the muffin bounces back slightly and feels soft but does not have an indent where you pressed, it's probably perfect. Always make sure your baking powder and baking soda are fresh. 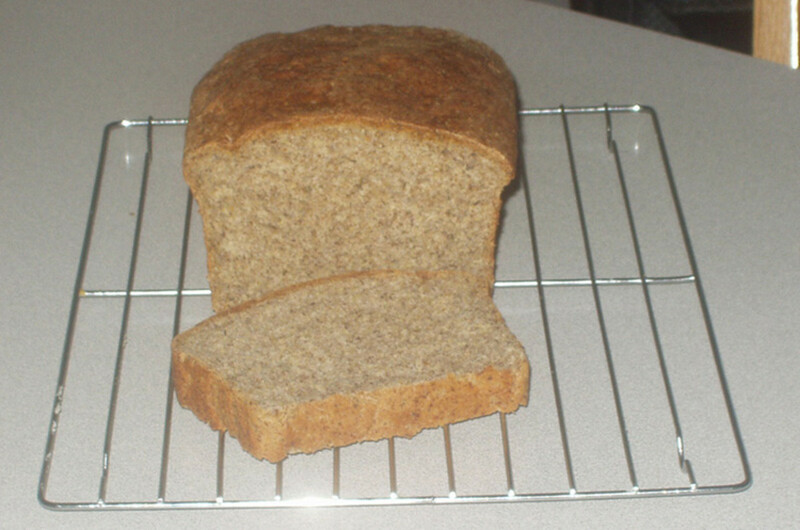 Stale or substandard leavening products can have a negative effect on your muffins. Do not overmix! This is the single most important factor. Turn the bowl as you are stirring in the last ingredients and only give about 10 folding maneuvers through the muffin batter or cake batter. In this baking situation, it's okay to have some flour still showing on your muffins when they go in the pan. Don't overfill the muffin tins--no matter what size or your muffins will flatten. A great way to fill muffin tins is with an ice cream scoop or other measuring device to ensure that all muffins are created equally. it also cuts down on handling which with muffin dough is very important. When using a measuring device to fill muffin cups, spray with a little vegetable spray or brush lightly with walnut oil. It helps the dough slide out each time. Don't underfill either or the muffins will likely burn or be overdone when you take them out. Use vegetable spray for the insides of muffin pans to help them pop out of the pan. You can also spray muffin liners with a small amount of spray to keep them from sticking to the muffins. 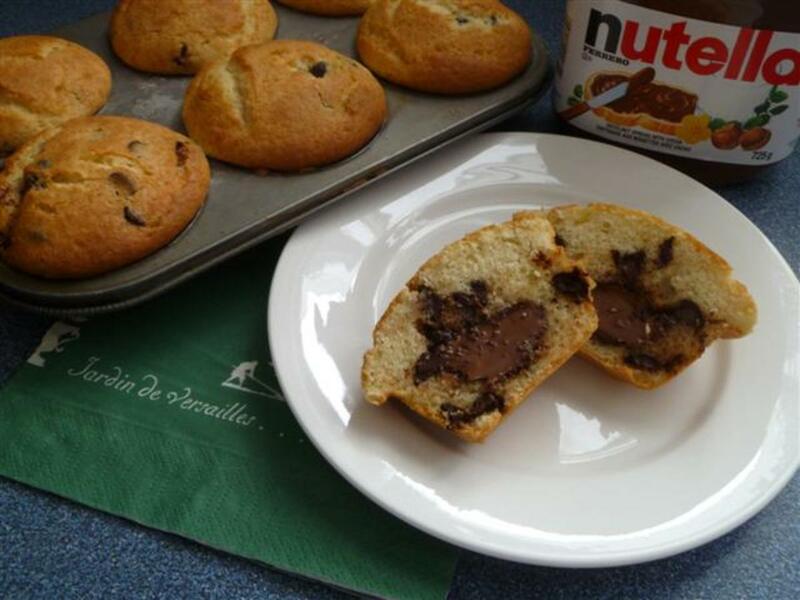 In order to avoid overmixing, when making muffins with special ingredients such as blueberries, chocolate chips or other larger add-ins, this author pushes the items into the muffins after they are already in the tins. It cuts down on making the blueberry muffins blue, which is an added benefit. Or toss the add-in ingredients in a bit of the flour used in the recipe to keep them from sticking and add/fold in at the last minute. If you have blank spots in your muffin pans--i.e. you didn't have enough batter for all the spots in the tin, add 2-3 tablespoons of water. This prevents the pan from warping or burning from any vegetable spray. Have batter left over just enough to make another 1 or 2 muffins? Use vegetable sprayed or paper lined custard cups or ramekins. Fill and bake--test these separately from the muffin tin muffins to see if they're done. It should be crumbly but not falling into pieces. It should be soft but not mushy. It should be moist and not dry. There are many different kinds of muffins from sweet treats to savory varieties. 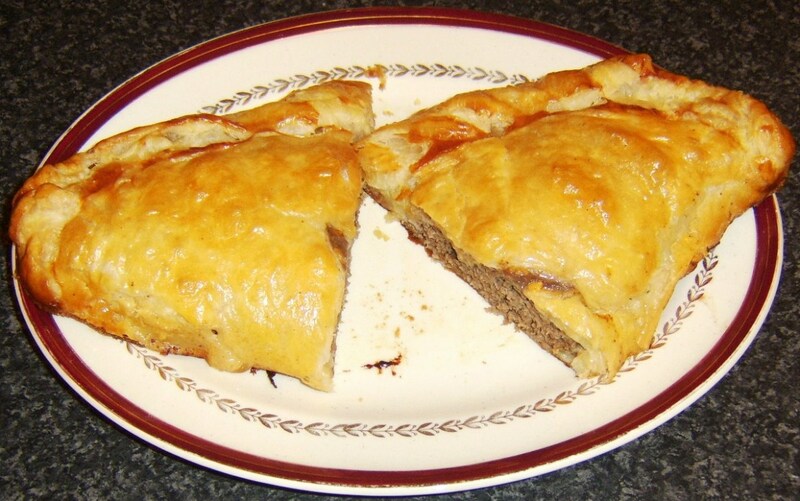 Most have you mix the dry ingredients and then add the wet or moistened ingredients. Again, overmixing is the primary muffin killer and the most common reason for dry, chalky muffins. You want this delicacy to be "just right," so experiment. This author has found that reducing the oven temp by 25 degrees sometimes makes my favorite muffin recipe better and doesn't overcook them. Or taking them out a few minutes earlier than the recipe says. Some changes occur depending on the kind of muffin pans you use as well. 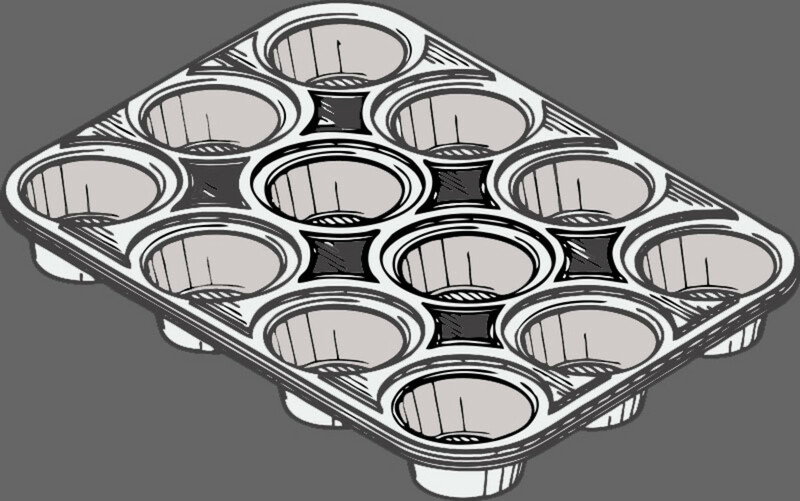 Figure out which muffin tins or methods work best for your particular climate and kitchen and build on that. You can add in many things that recipes don't mention--like spices or dried fruits, nuts of any kind, seeds. Use different kinds of milks, like almond milk. Toss your add-ins with a wee bit of flour to keep them from sticking together. Walnut oil is an excellent oil for greasing muffin tins or muffin liners. It imparts a slightly nutty taste to the muffins and is a great prep add-in for muffins and cakes. Try other kinds of oils for savory muffins. Just pour a small amount in a tiny prep bowl and brush a little on the muffin tin or the muffin liners. Grease or spray muffin paper liners too and your muffins won't ever stick to the paper again. 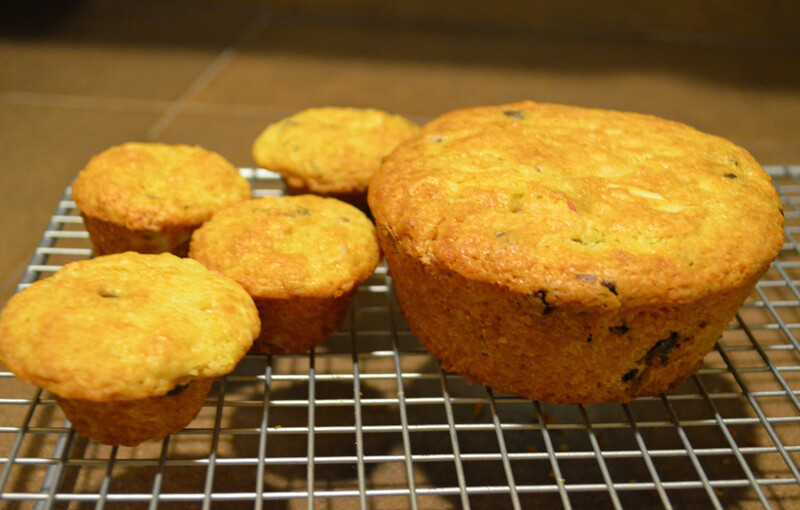 Store muffins in an airtight container after baking and those you don't eat right away. They usually dry out quickly. Many recipes, such as sour cream muffins, freeze exceptionally well and never dry out. You can also substitute Greek yogurt for part or all of the sour cream. Breakfast--especially those loaded with oats, nuts, nutritious flours, and dried fruits. 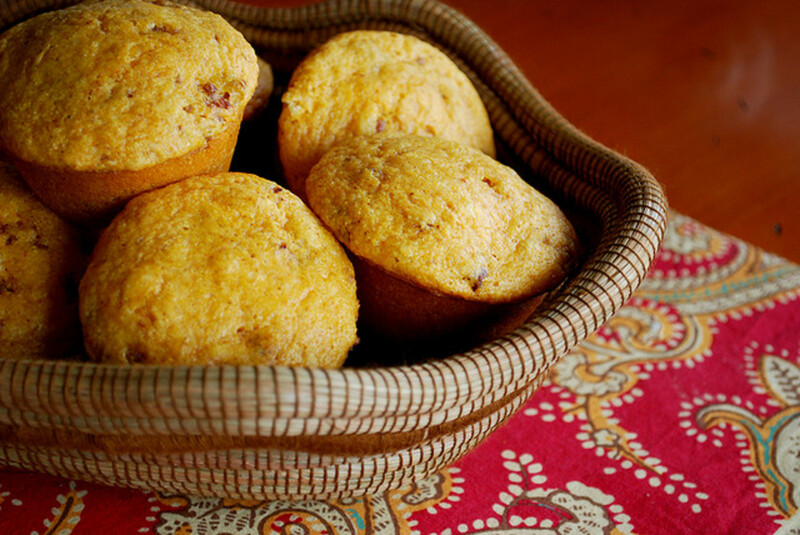 Muffins, such as cornbread, go great with soups and stews--especially baked as mini-muffins. Jumbo muffins are great for sharing as a midday snack or a breakfast muffin if of the healthy variety. Chocolate chip muffins or other dessert muffins make an easy and delicious finish to any meal. Any size muffin makes a wonderful addition to a packed lunch--they travel well and by making them from scratch, you control all the ingredients like sugar, fiber, add-ins, etc. Baskets of muffins make delightful gifts or a welcome, handy snack when you have guests over. Instead of mashing muffins for banana muffins, I finely chop them. It works great. Sour cream muffins will have an almost pound cake-like quality to them and stay super moist for a longer time frame than regular muffins. You can cut the fat by using less butter and more applesauce. Look for low-fat muffin recipes to save on calories and fat. My jumbo muffins are baking for about 20-24 min. They are beautiful, perfect, and brown but undone in the middle. How can I fix this? You can - but it has to be in increments that make sense - such as if there is 1 cup of flour and you want to double it - you double all ingredients to make a double batch - but if you wanted to only increase the recipe by half - then you would add what the recipe calls for plus one-half of all the ingredients. It has to be correctly portioned (each ingredient) or the increase will not turn out. how can I increase a muffin recipe, just by adding more flour, oats and one more egg?? I need to know exactly what is added to a standard muffin recipe to make them into Jumbo muffins. Om--I'm a muffin-holic--I particularly love minis because I don't feel so guilty about eating them! I of course have to test many different muffins because I live with the King of Muffin Tasters--my Griffin. He last year ate ELEVEN sauerkraut and pumpkin muffins--it was a gastronomic experience--we practically needed gas masks to sleep with him in our room that night--not to mention what it did to our backyard for the next few days. Had I added the chocolate chips it said were "optional"--we probably would have been at the vet's. Bob loves them too--as long as I leave out the tofu! Lemonkerdz--I've heard that reducing your oven temp by 25 degrees sometimes helps and either adding more baking powder or using less--so I would Google high altitude baking tips. I do want to say though we're pretty much at that altitude and I don't have any troubles with my muffins---except them disappearing thanks to a pilfering malamute and his penchant for my cooking! Thanks for all the tips on muffin recipes. do you have any suggestions on altitude baking for these. i'm at 3,300mt the pics look fab and can't wait to try these out. OMG--Bob would be in hog heaven! And don't even get me started on Griffin the foodie hound! He'd think he'd died and gone to doggie heaven...that brat got my apricot souffle the other night--at least he did NOT get my muffins---yet~! Seriously? You do know that everything is bigger and better in Texas. Why a mini muffin here would be considered a topping for a 'real' man-sized muffin! Did you know we have actual doughnuts that weigh over a pound apiece! Definitely Lela--I have about every kind of muffin pan known to man except I got rid of my jumbo muffin pan finally and just started baking them in custard cups~ Then I only have a FEW jumbos. My favorites are the minis though--just enough to tide you over! Oh my goodness, I love muffins too! I even bake cornbread in muffin tins now. I have to go and get that silicone muffin baking thing. I just discovered silicone and it is fabulous.